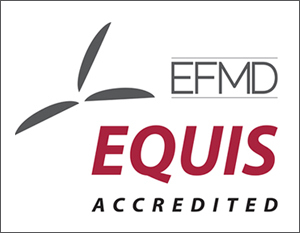 At its June 12 meeting in London, the Accreditation Board of the European Quality Improvement System (EQUIS) rendered its decision to re-accredit the Desautels Faculty of Management for a five-year period – the maximum term granted by the European Foundation for Management Development (EFMD) through EQUIS. The decision was reached following an on-site audit by the EQUIS Peer Review Team (PRT) in March 2018. The PRT commended Desautels for successfully meeting the recommendations put forward upon initial accreditation review in 2013, highlighting, in particular, the expansion of its facilities, the high quality of its professoriate and students, as well as the increased internationalisation of its educational activities and corporate connections. Through this decision, Desautels continues to be one of 174 institutions in 41 countries that are certified for excellence in business education worldwide. The achievement of EQUIS re-accreditation testifies to the strength of our Faculty’s programs, students, professors, and staff, while the required strategic review process has helped solidify the Faculty’s objectives and directions.